Do you experience allergies year-round? Do you find yourself constantly coughing and sneezing but don’t know why? If so, you could have an air quality problem on your hands. Air quality testing (also known as air sampling or air monitoring) identifies the presence of pollutants like mold, asbestos and VOCs in indoor air. Similar to the air quality index (AQI), which tells you how polluted outdoor air is, the results of an air quality test give you important information about the health of your indoor air. Given that the majority of people spend about 90% of their time indoors, air quality assessment plays a crucial role in discovering IAQ problems, properly addressing them and improving in your quality of life. Property owners in Ottawa should get indoor air quality assessment if they want to ensure a healthy living environment. Air quality testing in Montreal homes, schools and businesses is just as crucial. 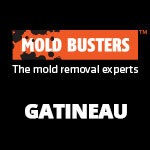 Call Mold Busters today for IAQ Testing service in either the Ottawa or Montreal area. While some companies take up to a week to deliver results, we can deliver a full report within 24 hours. What Is Air Quality Testing? Notably, all of these symptoms are also associated with long-term exposure to toxic mold. Such molds like Stachybotrys chartarum (black mold) are capable of causing persistent and debilitating effects that can prevent people from performing everyday tasks and enjoying life. Why Test Your Air for Quality? Because your indoor air quality directly affects your health, getting an air test is a wise decision that may even improve your quality of life. The fact is that homeowners today are no longer purchasing DIY air testing kits from their local hardware store. People are realizing that there is too much at stake for unreliable air testing methods. 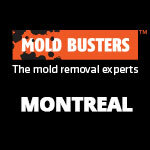 Mold Busters air quality testing services in Ottawa and Montreal are the fastest and most accurate way of finding out if the air you’re breathing in on a regular basis is clean, safe and free of pollutants. Air quality testing can help mold inspectors assess a mold problem and evaluate the extent of the damage. An air test can identify the type and concentration of mold spores in a room. Air quality testing can help in the development of the scope of work and the remediation strategy. The results of an air quality test can be used in legal matters as official proof of a mold problem. Air quality testing is useful during real estate transactions or as part of a complete home inspection. How does an air quality test work? Mold Busters sends air samples to an accredited microbiological lab where they are analyzed by trained and experienced scientists. The results reveal exact types of mold spores present and in what concentrations. 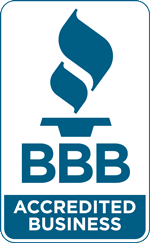 You, the customer, will receive a report explaining the results along with our professional recommendation as to how to proceed if mold or other air pollutants have been identified indoors. How mold and mildew affect indoor air quality? Most people are not aware of how severely mold can affect their health. Because mold spores are so small, they can become airborne easily and spread quickly. Just because you cannot see a mold contamination in your home doesn’t mean that it’s not there. Usually mold and mildew are the result of moisture intrusion and water damage. Places like the bathroom, attic and basement are the most prone to moisture problems like leaks, high humidity, condensation and flooding. 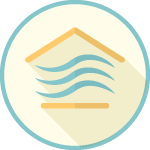 Property owners have to be careful because water damage is not always obvious or visible. It can remain completely hidden from sight (behind walls and underneath carpets) and ultimately give rise to mold growth. Luckily, you have two different types of air tests to help you detect mold–even if it’s growing somewhere out of sight: viable sampling and non-viable sampling. Each has its advantages and drawbacks but both are effective means of identifying mold and assessing indoor air quality. Exposure to mold can cause or aggravate health conditions like asthma and allergies. In the long term, it can also lead to more serious conditions such as chronic bronchitis, problems with the nervous system, cancer, multiple sclerosis and heart conditions. Just as you would not ignore a high-alert air quality index, you should not ignore an air test that shows a contamination of your indoor environment. It’s not surprising that so many people are confused—after all, both types of tests are used to detect and diagnose mold problems. 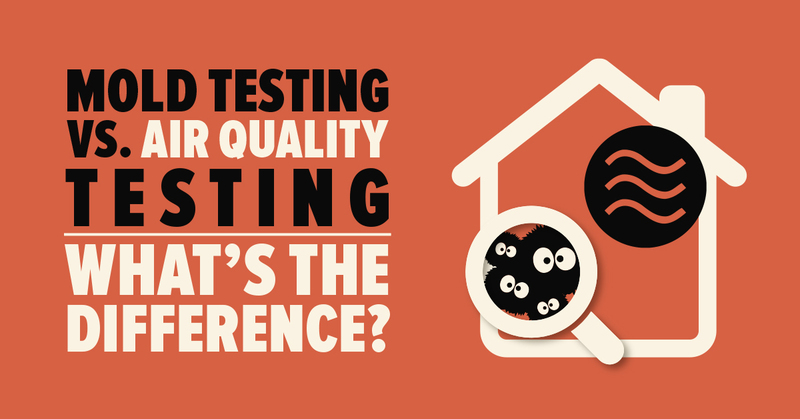 However, mold tests and air quality tests are not the same, and one test is more telling than the other. Generally, a mold test is a quick procedure that involves taking a swab of the suspected material, inserting it into a liquid and waiting for a colour change. If the liquid turns green, then the material is clean and free of mold. However, if the liquid turns purple, unfortunately you have a mold problem on your hands. While instant mold tests will give you a clear, yes-or-no answer to your mold concerns, they will not tell you what kind of mold you’re dealing with and how much of it is present in your living environment. They’re also not a direct indication of what’s in your air. As such, at Mold Busters, we only use mold swab tests when clients need immediate answers. Otherwise, we suggest other testing methods. What is an air quality test? An air quality test analyzes a sample of air that has been collected from the room that you suspect is contaminated by mold. The results tell you about the various particles—mold spores, asbestos, VOCs, pollen, other allergens—floating around in your air. Typically, each air sample contains 75 L of compressed air, so the results provide a very accurate snapshot of the health of your indoor environment. Often, air quality tests reveal major mold, moisture and ventilation problems in seemingly normal spaces…much to the surprise of homeowners. 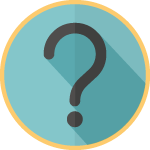 While the answer to this question really depends on what you want to find out with the testing, we usually recommend air quality testing due to the amount and accuracy of information it provides about your environment. Mold tests are great if you want a quick, simple answer to your mold worries (for example, if you want to find out if mold is growing on your antique wood table). However, if you’re looking for the big picture, an air quality test is the way to go. In our many years of experience, we have found that when people request a “mold test” they are actually referring to an air quality test for mold. Hopefully now the difference between the two is more clear. 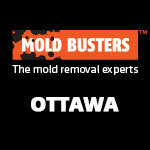 Give Mold Busters a call to learn more about our mold testing services in Ottawa and Montreal. Indoor air pollution is a big problem, one that’s being recognized by Health and Environment Canada, the Environmental Protection Agency (EPA) and, last but not least, the World Health Organization (WHO). Given that our indoor air quality directly impacts our health, it’s important to make sure that the places we’re spending most of our time in are free of air pollutants. This goes for workplaces, classrooms, doctors’ offices and stores just as much as it does for homes. Annual air quality assessments are highly recommended for residential properties, commercial buildings and public institutions to limit the negative health implications of decreased air quality. Indoor air (a.k.a. ambient air) can be compromised by poor ventilation, off-gassing of furnishings, combustion processes and a number of biological and chemical contaminants. At Mold Busters, we provide an annual air quality testing service, that will provide you with the information you need to maintain a pollutant-free living and working environment. Indoor air quality monitoring is often overlooked. When people don’t see or smell a problem, they often assume it’s not there. However, many pollutants are completely odourless and colourless, so their presence is difficult to identify and exposure is hard to control. Monitoring indoor air quality does not have to mean big or costly changes to your routine maintenance program. It’s actually a simple and quick procedure that gives accurate results about your indoor air. A series of air quality tests are taken from the most frequently used parts of a building as well as outside (this acts as a control group). It takes only a couple of minutes to gather the air samples, and the results are ready in several days. A full report is delivered to you, outlining any pollutants identified in the sample and the concentrations in which they are found. Best of all, it’s discrete. 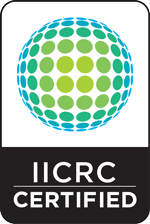 Using the information provided in this report, you can act to reduce the concentration of air pollutants in your indoor environment and promote healthy living. 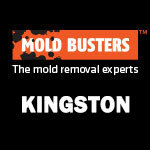 For more information about annual air quality assessments or to book your air quality test, contact Mold Busters now.